In this video, Dr. John Billon explains how to recognize when someone is abusing opioids. Pain management is a real problem that our MPCP providers treat on a regular basis. The CDC estimates that 11% of adults experience daily pain. There is no question that over-prescribing of legal opioids, as well as the use of illegal opioids, has caused an epidemic of opioid abuse in Maryland. We at Maryland Primary Care Physicians practice pain management to ensure patients have access to safer, more effective treatment while reducing the risk of opioid abuse, overdose, and death. MPCP providers strictly follow the guidelines established in Maryland for narcotic prescribing. When prescribing any controlled medication such as opioids, the prescription is cleared through the state prescription drug monitoring program (PDMP). This is an electronic database that tracks controlled substance prescriptions at the time of prescribing. This can help identify patients who may be misusing prescription opioids or other potential medication abuse. All of our providers also follow the published CDC guidelines for prescribing opioid medication. This is not only consistent with good clinical practice, but it is also required by the State Board of Physicians and is enhanced by continued education required to maintain a medical license in Maryland. In establishing our goals of treatment, we first consider non-pharmaceutical and nonopioid therapy. We strongly encourage integrated pain management and collaborative working relationships with other providers (physical therapists, physical medicine specialists, pharmacists, behavioral health providers, and, importantly, Pain Management Specialists). Consultation and referral is an important part of pain management. Discussion of risk and benefits of therapy with patients, goals of treatment, and duration of medication management is key for effective treatment. At Maryland Primary Care, we have peer review requirements, which not only monitor controlled medication prescribing but allow our providers to consult their peers for pain-management problems. never share their prescriptions with others. Storing and disposing of medication properly when treatment is completed is also extremely important. Follow U.S. Food and Drug Administration (FDA) guidelines: http://www.drugabuse.gov/research-reports/misuse-prescription-drug-misuse-be-prevented. Pain management is common to our practice and requires an individualized response. Treatment can be challenging for healthcare providers as well as patients. It is possible to improve the way we manage pain and the way opioids are prescribed. Our goal in treatment at Maryland Primary Care Physicians is to reduce the number of people who misuse, abuse, or overdose from opioids while making sure our patients have access to safe and effective pain management. 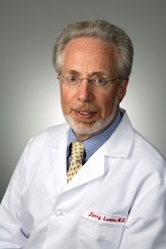 Dr. Levine is a MPCP partner and is certified by the American Board of Internal Medicine. He serves as MPCP’s Medical Director and Vice President, and sees patients at the Columbia office.